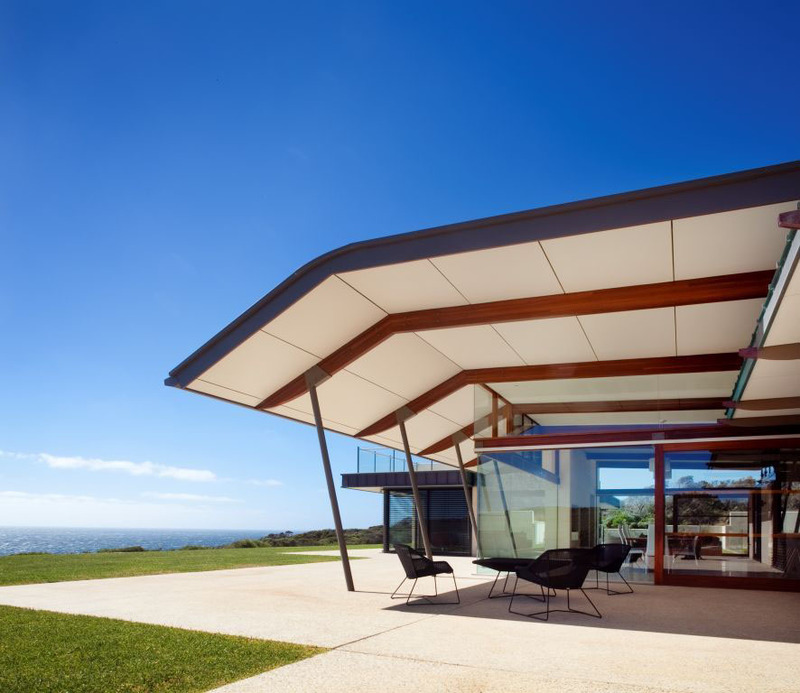 With views of Injidup Beach in Yallingup, Western Australia, this single level modern beach house sits on an exposed spectacular site. Designed by Wright Feldhusen Architects, the beach house is devised as two intimate rammed earth sleeping wings that meet at the glazed pavilion that is the main living area. Building materials used can deal with the harsh marine environment.